What I love most about this is how this can really cut down on your spice costs. Spices in bulk are so inexpensive compared to 5 to 9 bucks you now pay for a very small bottle of spices. And if you’re like me you like things to look as organized as possible even if it’s your spices hidden away in the cabinet! Another tip, is to line your spices up alphabetically ~ so easy to find this way, then I put some of those little puck lights up in my spice cabinet so I can see everything. Now everything is juuuuust right Goldilocks! 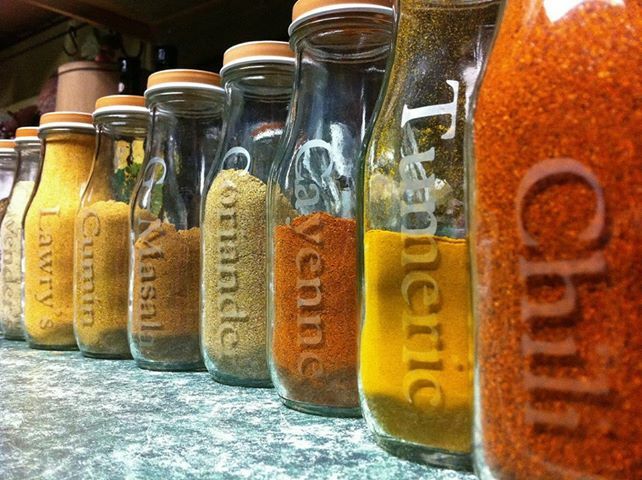 This entry was posted in food & entertaining, gifts & crafts and tagged Cozy Cottage, Do it yourself, saving on spices, Seasonings, Spice on November 26, 2013 by Presley-Love.